Lise was born in Buckingham, Quebec. She and her family first moved to the Valley in Lebret, where along with her husband, they raised two boys and one girl. 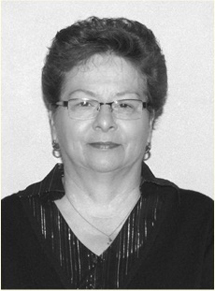 Lise worked at the Lebret Indian School for 16 years before the family moved to Fort Qu'Appelle, where they have been for the last 15 years. Lise has taken art classes from Betty Robertson of Balcarres, Irene Lecours of Fort Qu'Appelle, Ethel Sulea of Dysart, Ward Shell of Regina Beach and Holly Fay of Regina. Oil is Lise favourite medium, and while she has tried other mediums, she is always drawn back to oil. If she could, she would paint every day. Her favourite subject is Landscapes, scenes of the beautiful Qu'Appelle Valley. Her paintings have sold all over Canada, the United States, Mexico, Germany and Australia. "I hope that God will give me many more years to continue to enjoy my passion of painting."